Constitutions can also tell the story of a country - a history that takes into account every right won, and the struggles waged to gain them. The letter and spirit of all such texts are a clear reflection of the society they govern, through what is included in their articles and what is not. The evolution of Cuban constitutional history is an inseparable part of our revolutionary tradition, of the legacy of our independence struggles that have brought us thus far, and that in a January almost sixty years ago, opened the way to take the socialist route with a Revolution “with all and for the good of all,” deeply tied to the thought of Martí and Fidel. In a socialist country, he said at the time, “The Constitution must legally reaffirm the political power of the working class in alliance with the rest of the working masses of the people. “It will consolidate the socio-economic system based on the ownership of the means of production, on the elimination of exploitation, and the gradual disappearance of class differences. It must guarantee the conquests and rights of workers, the freedom of individuals, and offer real guarantees to ensure their practical exercise. This Carta Magna, that of 1976, totally socialist and honoring Martí’s belief in Cubans’ devotion to the full dignity of humanity, was approved in a referendum by 97.7% of eligible voters - five and a half million men and women. Beyond reflecting the political and social order existing in any nation, as is to be expected of a constitution, why is socialism established as irrevocable in the text? 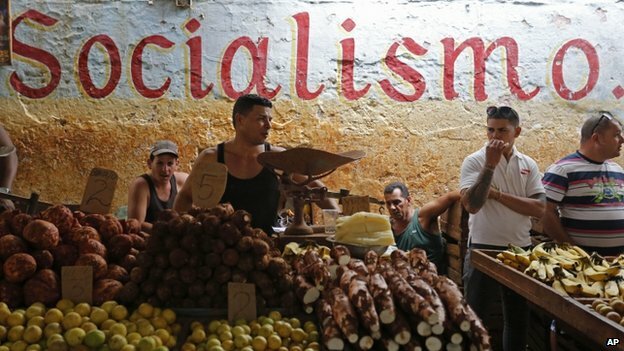 Cuban socialism is not an arbitrary imposition, accepted by a docile people with no voice or vote, as some uninformed or malicious persons proclaim. Its roots lie in a popular decision, of a democratic essence like the Revolution itself, and are reinforced in the consistent efforts of generations of Cubans who have ensured its continuity. It was May 20, 2002, when then U.S. President George W. Bush, during a meeting in Miami, insolently demanded that Cuba renounce the socialist character of the Revolution in a new Constitution. Provocative speeches were his strength, perhaps a reflection of a historically interventionist position, ignoring the right to self-determination of peoples to decide how to construct their futures. Faced with the demand and the disrespect, Cuba’s response was historic: a plebiscite held over a seven-day period, June10-17, 2002. More than 16 years have passed since the last constitutional reform, and in this period, especially the last few years, Cuba’s socio-economic panorama has changed significantly, with the implementation of the Policy Guidelines approved by the Sixth and Seventh Party Congresses. Thus, increasingly evident was the need to align the Constitution with these new circumstances and adjust some articles to reflect recent experiences in the construction of the national project which we ourselves have designed. But reforming does not mean renouncing our history, or all that has been done, which is always perfectible. The final constitutional proposal will be the result of a process of broad popular discussion, and will ultimately be submitted to a referendum vote, in a genuine exercise of the people’s right to participate, always as effective as it is conscious. As has now become common, important decisions must be based on majority consensus, but not as a simple formality expressed with one’s presence, but rather playing a leading role, taking advantage of the opportunity to be part of the decision, not as a percentage number but making an individual contribution.